ROME (AP) — "Roma," Alfonso Cuaron's intimate, black-and-white portrait of the women who raised him in Mexico City's turbulent 1970s, has won the top prize at the 75th Venice Film Festival. Cuaron accepted the Leone d'Oro on Saturday, which he said was the birthday of the woman who inspired the lead character Cleo, a young domestic worker with her own troubles amid political strife in the city's Roma neighborhood. A tenant in a building where a fire broke out on a New York City movie set, killing a firefighter, is suing actor Edward Norton's production company for $7 million. The lawsuit was filed on Tuesday, the same day mourners gathered at the funeral for Lt. Michael Davidson. NEW YORK (AP) — Mourners of a New York City firefighter killed fighting a blaze on a movie set will be paying their respects over the coming days. The viewing for Michael Davidson is being held in the Floral Park section of Queens on Sunday afternoon and evening, and again on Monday afternoon and evening. His funeral is scheduled for Tuesday morning at St. Patrick's Cathedral on Fifth Avenue in Manhattan. NEW YORK (AP) — A firefighter who was killed battling a fire on a New York City movie set has been posthumously promoted to lieutenant. Mayor Bill de Blasio and Fire Commissioner Daniel Nigro announced firefighter Michael Davidson's promotion on Saturday. Davidson died early Friday after suffering severe smoke inhalation in the burning basement of a Harlem building where the movie "Motherless Brooklyn" was being filmed. Willem Dafoe has been handed an honorary Golden Bear for lifetime achievement at the Berlin Film Festival. 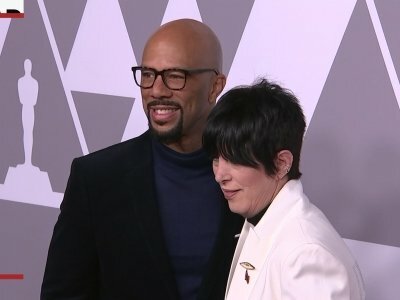 The 62-year-old actor - whose hits include 'Platoon', 'The English Patient' and 'The Grand Budapest Hotel' - has worked with a diverse range of filmmakers during his 40-year career, and Willem says he's relished all of the different challenges that have come his way. 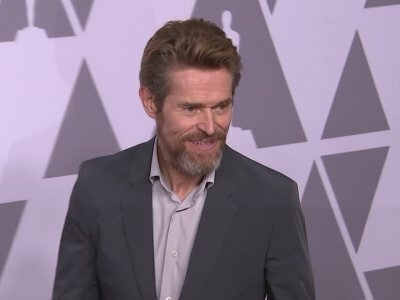 LOS ANGELES (AP) — Willem Dafoe came into "The Florida Project" ready to be transformed, and working in a cheap motel helped him get there. The 62-year-old actor has been collecting accolades — including a Golden Globe Award nod and Screen Actors Guild Award nomination — for his performance in the Sean Baker film, which was set and shot at the Magic Castle hotel in the shadows of Orlando's Disney World. Willem Dafoe will be presented with the Icon Award at the Palm Springs International Film Festival. The 62-year-old actor will be handed the accolade at the annual gala on January 2, 2018, after appearing in more than 100 movies throughout his career, including 'Platoon' and 'The English Patient'. According to Deadline, Palm Springs International Film Festival Chairman Harold Matzner said Dafoe "delivers a career defining performance" in 'Florida Project'. Jason Momoa has revealed ‘Justice League’ could have been released as two movies, as so much more footage was shot. 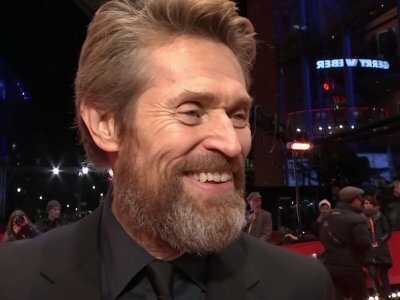 The former ‘Game of Thrones’ star — who plays Aquaman in the new DC Comics ensemble effort — has defended the film against criticism from some fans that scenes detailing Aquaman’s backstory were cut from the final edit, including Willem Dafoe’s performance as Atlantean character, Nuidis Vulko. Brooklynn Prince is currently in talks to star alongside Angelina Jolie in 'The One and Only Ivan'. The seven-year-old actress recently starred alongside Willem Dafoe in 'The Florida Project' and it appears Prince will next star alongside 'Maleficent' actress Jolie in the new Disney adaptation of Katherine Applegate's book. CLEVELAND, Ohio - Stuffing a film with A-list talent might elevate its box office potential, but it doesn't guarantee a good movie. "Murder on the Orient Express," based on the classic novel by mystery writer Agatha Christie, is proof, boasting cinematic heavyweights like Kenneth Branagh, Johnny Depp, Michelle Pfieffer, Penelope Cruz, Judi Dench and Willem Dafoe. "Murder on the Orient Express" is as old-fashioned as train travel itself. This remake of the 1974 film, adapted from Agatha Christie's 1934 novel, is a handsome looking, patient and ultimately satisfying murder mystery that doesn't gussy itself up for modern crowds and unfurls at its own unhurried pace. CLEVELAND, Ohio -- A classic murder mystery has been updated for the big screen with an All-Star cast that includes Johnny Depp, Michelle Pfeiffer and "Star Wars" heroine Daisy Ridley. What’s playing in Aiken for the weekend of Nov. 10? Toronto — Willem Dafoe was drawn to "The Florida Project" because he thought there was something special about it. "We hope that they're all special, we really do," says the actor, dispensing a bit of career wisdom, while seated in a hotel suite inside Toronto's Intercontinental Hotel during September's Toronto International Film Festival. Daisy Ridley could barely hold a cup when she filmed 'Murder on the Orient Express' because she was so nervous working with the all-star cast. The 25-year-old actress is starring as Mary Debenham in Kenneth Branagh's big screen adaptation of Agatha Christie's Hercule Poirot novel of the same name and the film has a stellar ensemble cast which includes Penelope Cruz, Willem Dafoe, Dame Judi Dench, Johnny Depp, Josh Gad and Michelle Pfeiffer among others. 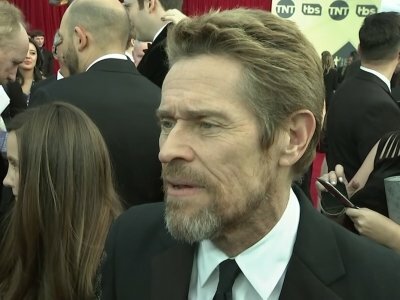 CANNES, France (AP) — Julian Schnabel will direct a film about Vincent van Gogh starring Willem Dafoe as the Dutch post-impressionist master. The film, titled "At Eternity's Gate," was announced Saturday at the Cannes Film Festival by production company Rocket Science. The film is to focus on Van Gogh's period in Auvers-sur-Oise and Arles, France, where the artist was living when he famously cut off his ear. Amber Heard has given the world a glimpse of her look as the underwater alien she plays in the upcoming "Aquaman" film. Heard and "Aquaman" director James Wan shared photos of Heard in character as Aquaman's underwater alien love interest, Mera, on Thursday. Heard sports red hair and a scaly, form-fitting suit in the role. She posted a picture on Twitter with the note, "Meet Mera." Wan called Heard "exquisite." Opening gross (inflation-adjusted): $174,737,000Total box office gross (inflation-adjusted): $614,245,200Starring: Tobey Maguire, Willem Dafoe, Kirsten Dunst"Spider-Man" centers on student Peter Parker (Tobey Maguire) who, after being bitten by a genetically altered spider, gains superhuman strength and the spider-like ability to cling to any surface. He vows to use his abilities to fight crime, coming to understand the words of his beloved Uncle Ben: "With great power comes great responsibility." Smart Rating: 12.97Release year: 1997Starring: Sandra Bullock, Jason Patric, Willem DafoeOriginal: "Speed" (1994)Original Smart Rating: 91.21Annie (Sandra Bullock) is looking forward to a Caribbean cruise with her cop boyfriend, Alex (Jason Patric), who purchased the tickets to make up for lying about working on the SWAT team. Their trip turns dangerous, however, when an explosion disables the ship's communication system and it becomes clear that the vessel is under someone else's control. Alex and Annie must fight for survival as they discover that John Geiger (Willem Dafoe), a crazed passenger, is behind the chaos. U.S. box office (inflation-adjusted): $601,043,100Smart Rating: 86.71Release year: 2002Starring: Tobey Maguire, Willem Dafoe, Kirsten Dunst"Spider-Man" centers on student Peter Parker (Tobey Maguire) who, after being bitten by a genetically-altered spider, gains superhuman strength and the spider-like ability to cling to any surface. He vows to use his abilities to fight crime, coming to understand the words of his beloved Uncle Ben: "With great power comes great responsibility." SAO PAULO (AP) — The Argentine-born Brazilian director nominated for an Oscar for his 1985 film "Kiss of the Spider Woman" has died. Hector Babenco was 70. 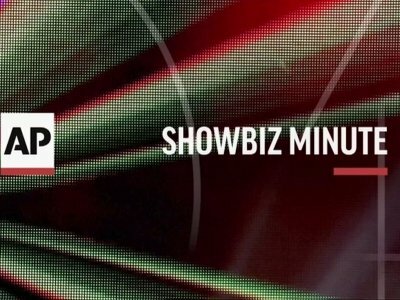 Denise Winther of Babenco's HB Films says the director died Wednesday night of a heart attack at Sao Paulo's Sirio-Libanes Hospital.